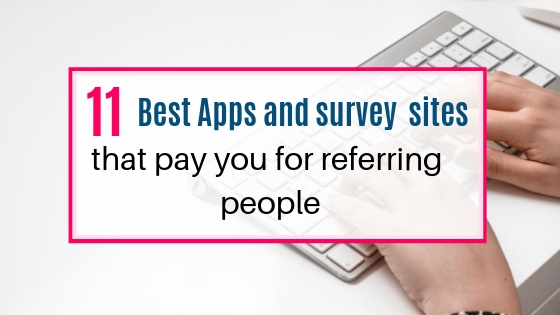 These are the apps and survey sites that pay you for referring people. 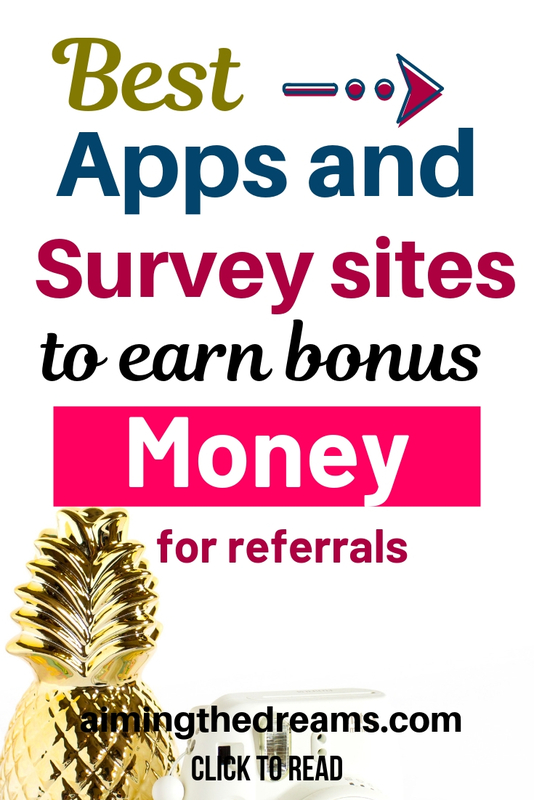 It is really a good idea to get paid for referring people to the apps and sites. Some of these have really a good referral programs and you can make some money by just referring people. And this money will be a kind of passive income. You are not working any extra ours for this money but you are getting this money by letting your friends to these sites and apps. Disclosure : This post contains affiliate links which means I may earn some commission if you sign up through my link. For full disclosure, read this. Ebates is the best site for getting cashback on shopping. When you refer someone, you get $25 and your friend gets $10. It is a win win situation for both. Ebates gives you good cashback rates on shopping. It has got most of the big retailers. Cashrewards is also a shopping site that gives you cashback while you shop as well as give you sign up bonus of $5. It has got some good retailers where you can find great products to shop. And get cashback also. When someone sign up from your link, you get $10 and your friend get $10 too. This is exciting for both of you and win win situation. Befrugal has got retail stores in almost all of the categories required for you. This site also provides you with coupons and deals to save you money. Acorns is a micro investing app and it lets you grow your money by investing your change. It rounds up your purchase and invest it for you. When you refer someone, you get $5 and you will also get bonus for signing up. I know we all love deals and coupons which help save us some money on the products we use. It gives a sense of satisfaction if we could save on our shopping. And we love more when we get paid for referring people. Groupon pays you $10 when you sign up with them and pay you $ 10 for referring people. This site is similar to groupon but is more focused on dating and experiences. You get $10 credit when you sign up and also $10 for referring your friends to the site. 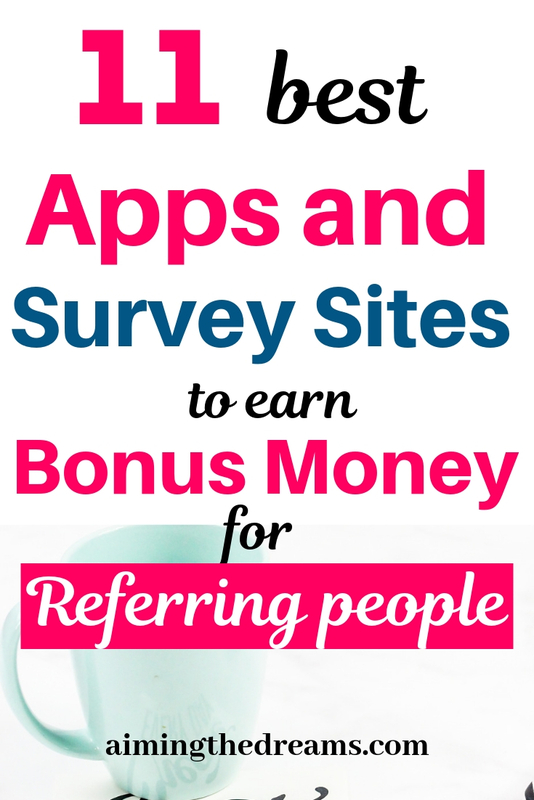 Survey sites are really good for making some extra money instantly. Not only you make money by taking surveys but you also make money by referring people and get bonus. You will not become rich by taking surveys but earning extra money and keeping it for some purchase or for celebrating any day is really a good idea. Payoneer is a payment processor which can be used to transfer money in 210 countries. You can use this payment processor to get paid for your freelancing jobs or to transfer money to different countries. Sign up with Payoneer here. There are lot of things you can do on inboxdollars to earn money. When you refer someone, you get 10% of their qualified earnings. You also get paid to take surveys, watch videos, and play games. Makeena is a receipt scanning app and cashback site. You earn cashback when you buy eco friendly and healthy products. If you refer any of your friend, you get $1 bonus. Dosh is also a cashback app and you earn a referral bonus of $5 every time you refer someone to Dosh app. Instead of traditional cashback sites, Dosh let you link your credit cards and debit cards to the app and then earn cashback every time you make a purchase. It has got many retailers attached to this app and you earn cashback passively on your everyday purchases. Please share this post if you like it. As you know sharing is caring. We all need each others support to grow in this online world.